Earn FREE college credit with Polk State College while attending high school. As a student in a Polk County Career Academy, Ridge Technical College or Traviss Technical College, you may receive free college credit if you choose to attend Polk State College, through a partnership between Polk State College and the Polk County School Board. 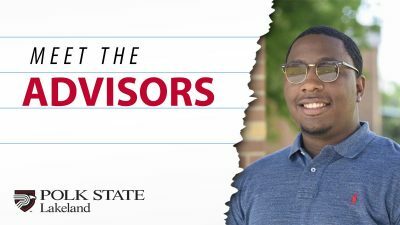 Your credits may be applied to certificates and associate in science (AS) degrees at Polk State College provided you meet the requirements outlined in the partnership agreements. It’s Free! You pay no tuition for credits you receive through the partnership. What is the difference between AA and AS degrees? AA – The Associate in Arts prepares you to continue toward a bachelor’s degree at four-year colleges, such as Polk State College, or transfer to other state colleges and public universities. The majority of your courses are general education credits. AS – The Associate in Science prepares you to enter a specialized career field. 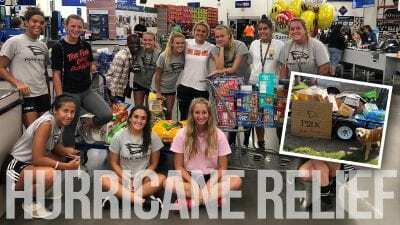 Many credits also transfer in part or in whole to Polk State College or other state colleges and public universities. The majority of your courses are technical education credits. 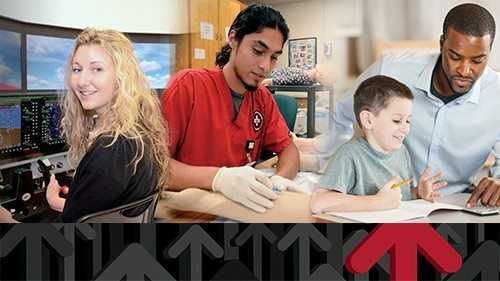 One-third of Polk State College students enter with the goal of attaining an AS degree that allows them to begin their career in two years or less. Numerous high-skills, high-wage careers in healthcare, business, and information technology are open to AS graduates. Graduates of these programs often enter the professional workforce with higher entry salaries than people with four-year degrees! Certificate programs are also available in select program areas. Generally, these programs can be completed in one year or less. They provide rapid entry into the workforce, and the credits can be applied to an AS degree in the same field. Continue your path and get your bachelor’s at Polk State College. Once you have completed your Polk State AS Degree, not only will you have the technical skills to get a job, you can continue at Polk State, full or part-time, to complete a Bachelor of Applied Science degree. The BAS degree provides individuals the opportunity to build upon the foundational skills attained through their associate degree program by completing upper-division coursework in management and leadership practices. For more information, visit polk.edu/bachelor or email bachelor@polk.edu. Enroll in one of the Career & Technical Education or Career Academy Programs at your school. Complete the curriculum of your program with a 3.0 GPA or better. Complete high school with an overall GPA of 2.0 or better. Successfully complete the end-of-course assessment required for each articulated course. Present to Polk State College Admission and Registrar’s office a copy of the letter of congratulations from the Polk County School Board. This letter lists earned credits and can be obtained from the Polk County School Board Workforce office by calling 863.519.8707 or emailing workforceeducation@polk-fl.net. Click HERE to see a sample of this letter. Enroll in Polk State College, in the certificate or Associate in Science degree program that correlates with your high school program within three years of graduating from high school. Earn at least three (3) college credits at Polk State College and your credits will then be applied to your Associate in Science or certificate program as applicable. Note: Polk State College cannot guarantee the transfer of Career Pathway credits to other institutions. Each institution has its own policies about credit earned through Career Pathways credit by examination. Articulated credits will count toward your Polk State degree or certificate, but may not transfer to a four-year university if you do not first graduate from Polk State. Application to Polk State is FREE. Need help figuring out the right career for you? Visit the floridashines.org.